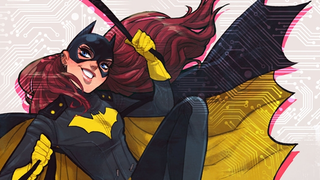 Batgirl's radical tone change (and snazzy new outfit) under the creative direction of Cameron Stewart, Brenden Fletcher and Babs Tarr has made Batgirl one of DC's most popular ongoing comics. Apparently however, the change wasn't expected to catch on — DC only planned for it to last six issues. Speaking at a panel about modern superheroines at Wondercon this weekend, artist Babs Tarr revealed that Mark Doyle, DC's Group Editor for Batman, only managed to win higher ups over at the company about the radical departure in both tone and approach to Barbara Gordon because there were only six issues left for the Batgirl ongoing until DC's company-wide event Convergence began. Convergence, DC's big comic event, beginning in earnest this week with the launch of over 40 series, will pause all of DC's current ongoing series until it finishes in July. DC originally only saw the shakeup as an experiment for the character — one that, if it didn't work, could easily be cut short during Convergence and dropped when the event was over. But from the moment Barbara's new costume was revealed, fans have flocked to the character once more in praise of the new direction for the character series — so much so that DC are allegedly looking to do similar tonal revamps with several of their series after Convergence has ended. It's nice to see that, contrary to what some fans believe, that dark and gritty stories aren't always the method of the day over at DC. Long may the new Batgirl reign!